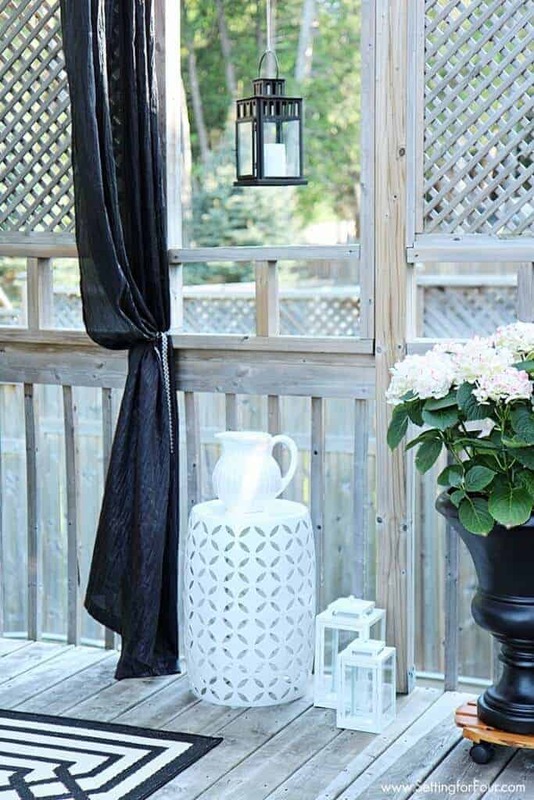 Outdoor decorating has never been so pretty! 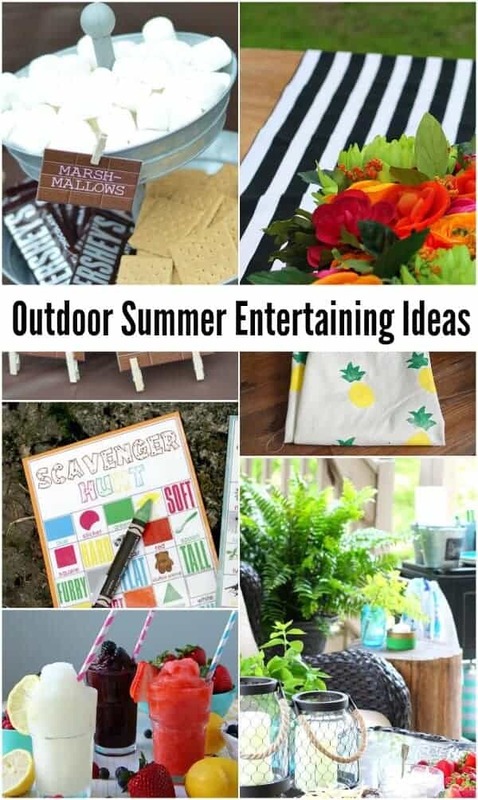 Summer is the absolute best time for being outside and enjoying the warmth and beautiful weather. 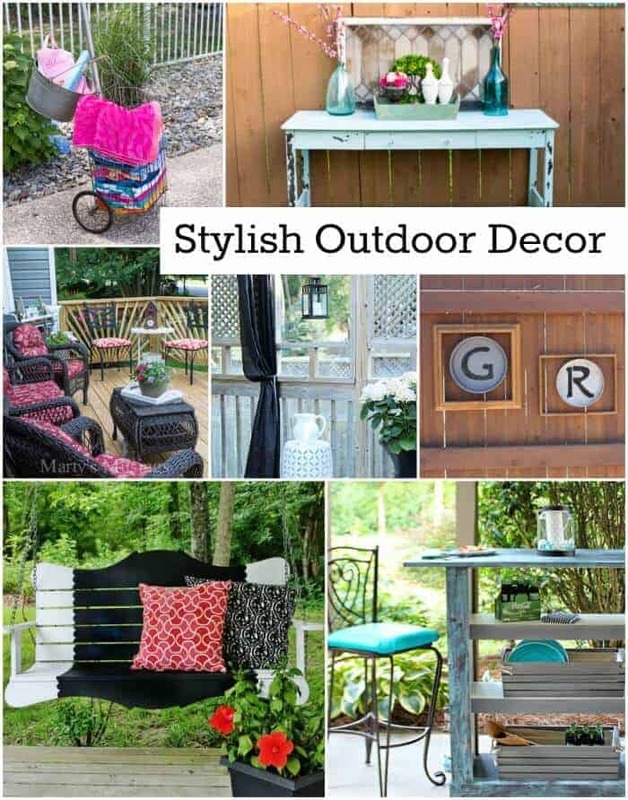 I found some of the most beautiful and quite creative decorating ideas for yards, porches, decks and patios at this week’s Whimsy Wednesday link party. 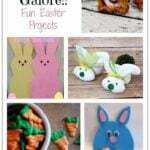 I can’t wait to show them to you! 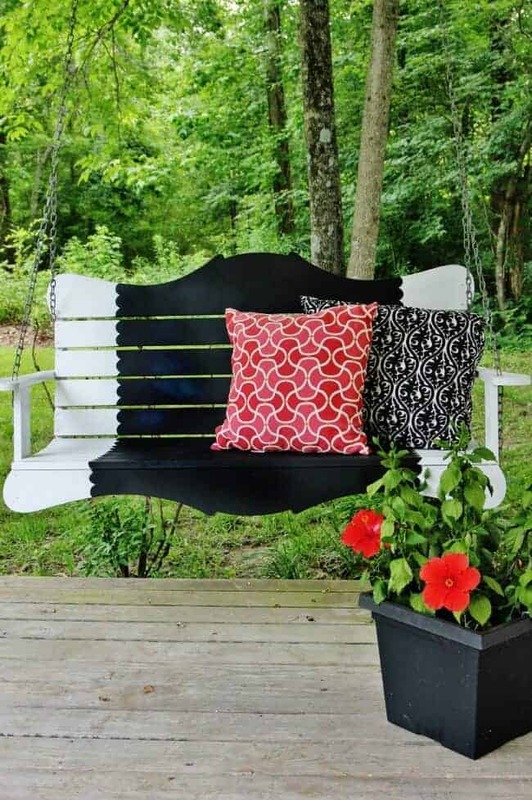 Porch swings will all look boring after you see this swing by Thistlewood Farms. 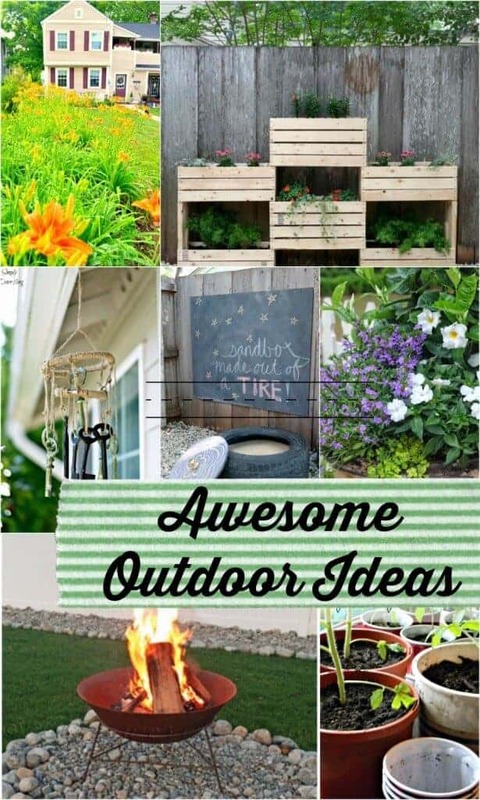 Such a cool idea! 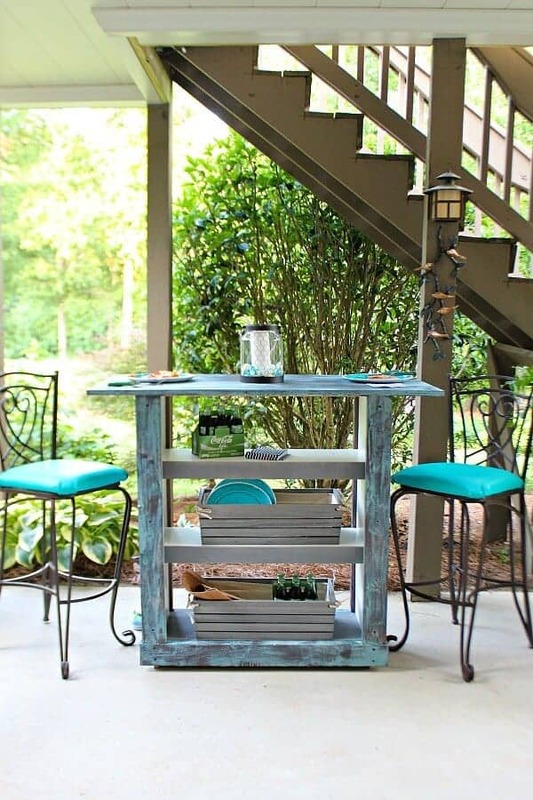 Can you believe this bar table from Refresh Restyle is actually an Ikea bookcase hack?! 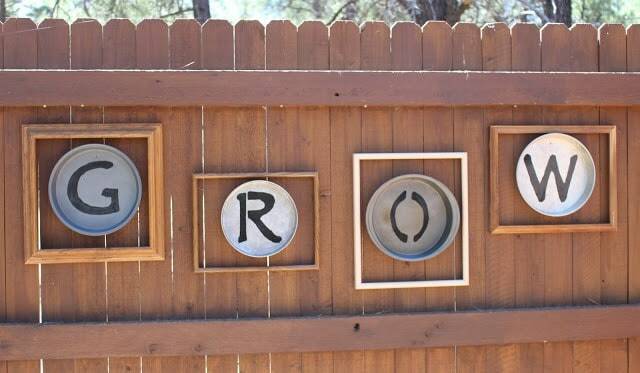 My Flagstaff Home created the sweetest garden art project. How fitting! 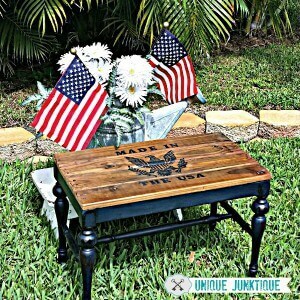 Use a little pallet wood to create a patriotic bench just like this one from Unique Junktique. 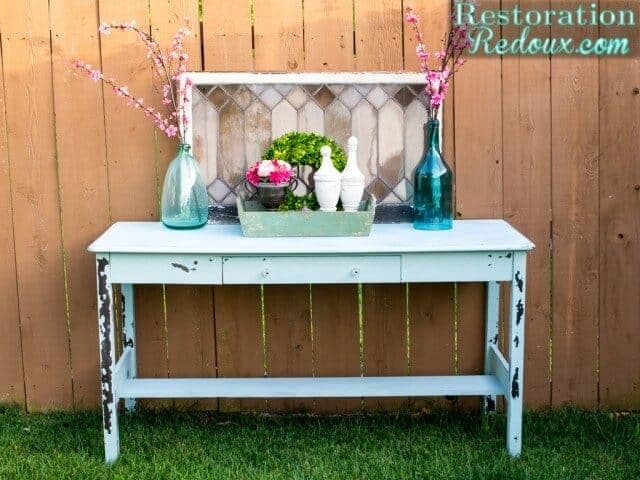 How amazing is this blue rustic table transformation by Restoration Redoux. Love it! 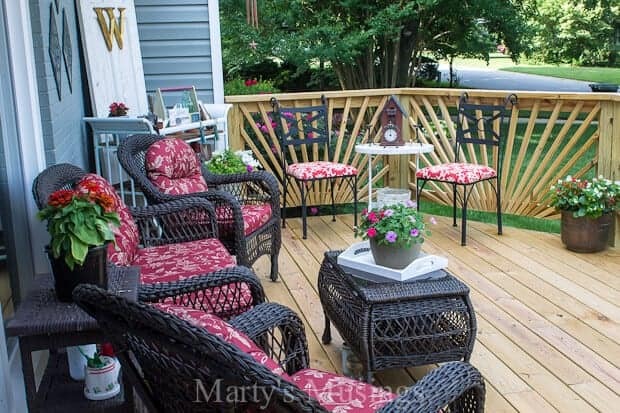 Marty’s Musings completely transformed the look of her home with the addition of this beautiful front deck. This deck by Setting for Four is beyond beautiful and she shares her source list, too! 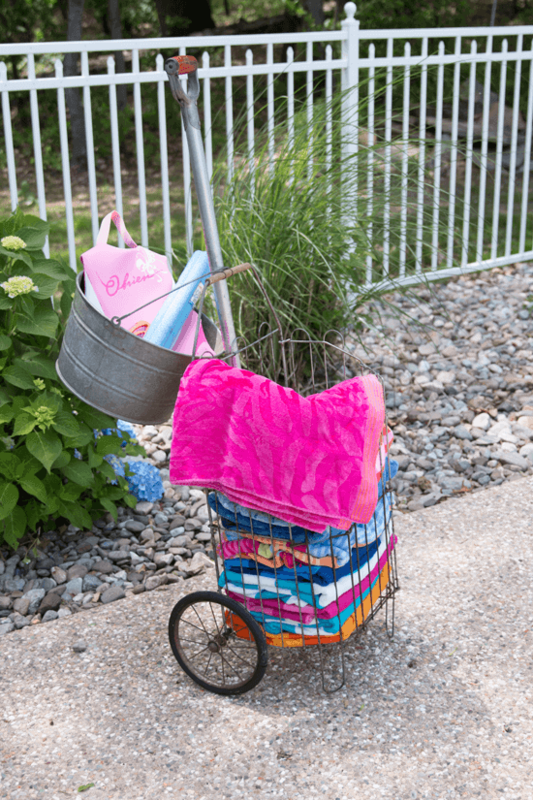 I just love how Finding Home stores her towels poolside with this vintage cart! Thanks so much for the shout out Jenn, so glad you liked my patriotic bench project!